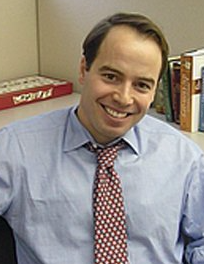 The New York Times has named Peter Lattman deputy business editor. Lattman most recently served as media editor. In his new role, Lattman will continue to oversee media news while also contributing to general business news. You can read Murphy’s full note below. About a year ago, Peter moved upstairs to become media editor. He quickly combined a hotshot crew of Times veterans and newcomers who have continued to make the media report essential reading across the paper. None of that is changing, except for the upstairs part. Peter will come back to the 2nd floor wearing two hats. He will direct our media coverage along with Bill Brink and Craig Hunter, while also applying his smarts and journalistic skills as deputy editor to our broader business report. Peter’s knowledge of business, Wall Street and beyond is deep, having been a reporter for DealBook, The Wall Street Journal and, back in the day, a money guy at Goldman Sachs (and even a lawyer before that). Media reporters will continue to write for BizDay, Culture and other sections, with Mr. Media himself, David Carr, anchoring the Monday business report. More broadly, the media team will benefit from greater interaction and crosspollination with reporters and editors from tech, DealBook and the other clusters — and vice versa. In short, we’ll see collaboration, elevation and innovation among a whole new mix of talented reporters and editors. I’m very excited to have Peter at my side as we think ambitiously and creatively about how best to tell the story of business and the economy in our changing media landscape. Equally important, we both feel great responsibility as stewards of our storied media report, ensuring that it grows only stronger, more vibrant and remains central to the journalistic mission of The Times.